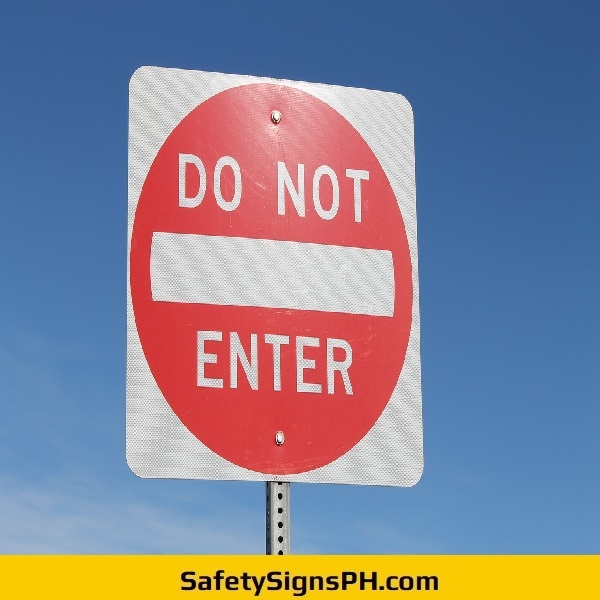 Safety Signs PH is a one-stop shop for all your custom safety signage needs in the Philippines. We specialize in printing, fabrication, and installation of indoor and outdoor safety signages such as photoluminescent signs, glow in the dark evacuation plans, illuminated emergency fire exits, route maps, fire extinguisher signs, reflective construction, personal protection equipment (PPE), prohibition, warning, danger, caution, stop, directional, road, traffic signages, and many others. Insert keywords to search your product. Welcome to Safety Signs PH, a one-stop shop for all your custom safety signage needs! 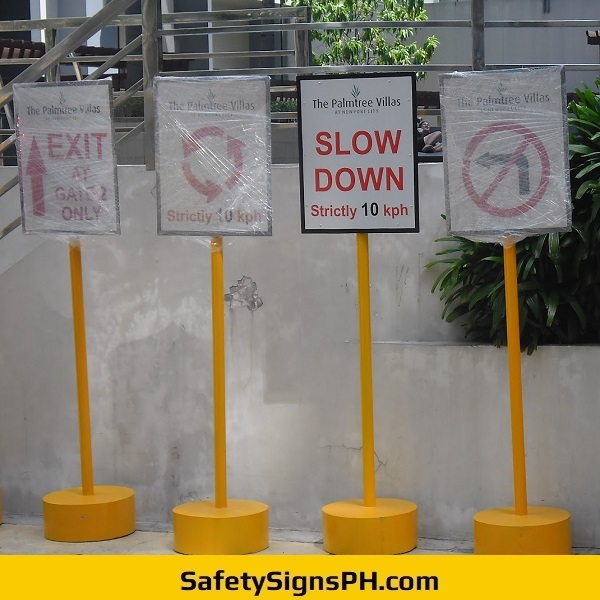 We are an expert safety signs supplier and maker in the Philippines that you can rely on. Please note that prices are by default set to ₱0.00. Actual pricing of the safety signage(s) will be specified in the formal quotation/billing that we'll send to you. Once done, click "Send Orders" (green button) below then input your contact information. Make sure you use the Message Box to indicate the specifications such as dimension, materials, quantity, and other pertinent details, so we can send an accurate quote. We will get back to you as soon as possible! to complete your order request. Send in Orders - Get A Free Quote! It's Quick & Easy! Details here will not be published. Please use this Message Box to indicate the specifications such as dimension, materials, quantity, and other pertinent details. Be as detailed as possible, so we can send an accurate quotation. Thanks! 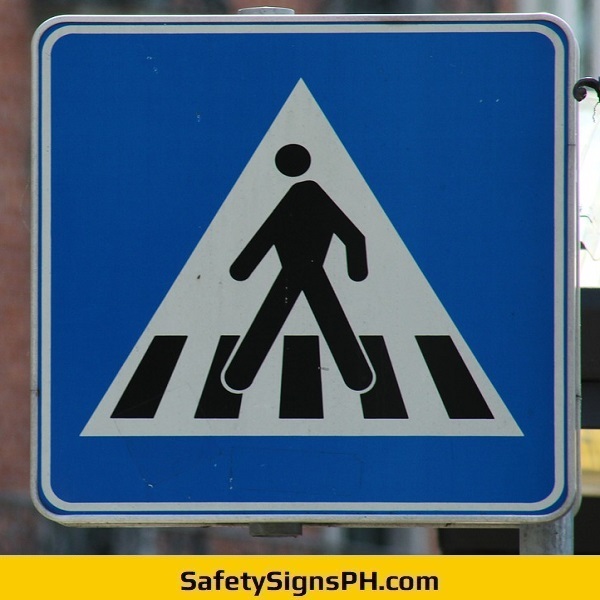 Manage pedestrian and vehicle traffic while augmenting public safety in the Philippines with our custom regulatory road signs. 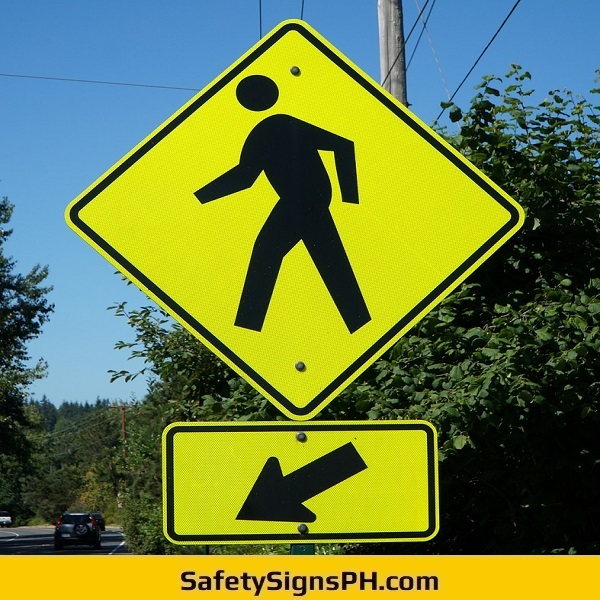 Here at SafetySignsPH.com, we manufacture a wide selection of outdoor safety signs with your preferred texts, pictograms or design elements. If you need to regulate streets, intersections, walkways, or highways, our customized regulatory road signs are the perfect solution for you! We can design them to specify incoming traffic, adjust the speed limit, or add bespoke text to lead motorists through a detour. 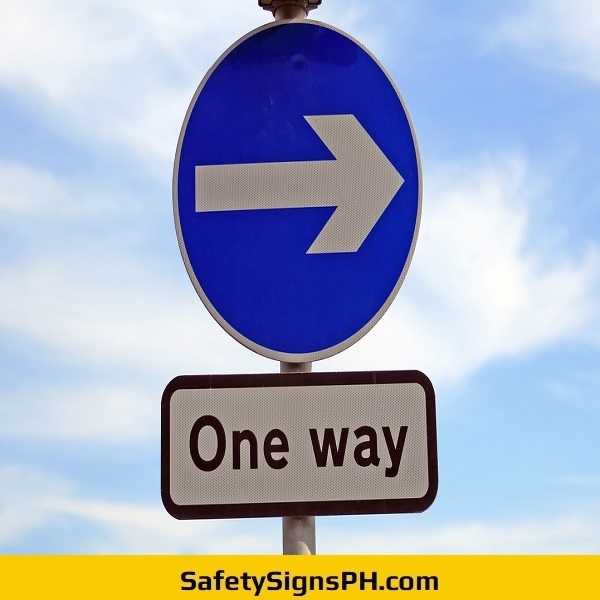 As a full-service safety road signage maker and supplier in the Philippines, our shop provides flexible options to all your road traffic control needs. When you order from us, we will help you to effectively manage both vehicular and passersby traffic within your premises. We will also ensure that the our traffic signage products meet local and government regulations. Our customized regulatory road signs are fantastic, particularly if standard or ready-made ones can’t provide you what you exactly require. We can even include your own business or organization logo to traffic signages for your own personal touch. • Speed Limit Signs • Warning Signs • Directional Guide Signs • Information Signs • Construction Signs • Prohibition Signs • Supplemental Traffic Signs • Stop Signs • Yield Signs • Keep Right Signs • Keep Left Signs • Detour Signs • Men At Work Signs • No Bicycle Signs • No U-Turn Signs • And much more! We promise to do our best to ensure you are a satisfied customer. Our clients in Cavite, Laguna, Batangas, Cavite, and Rizal can rely on the quality of all regulatory road signs that we create. We have invested in state-of-the-art printing equipment and laser-cutter to ensure that you receive the highest quality signages with fast turnaround time. 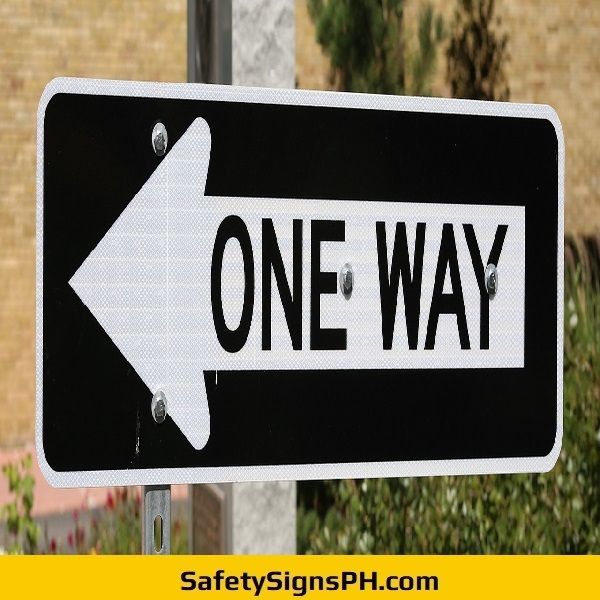 In line with this, our company strives to offer the most comprehensive line of affordable outdoor safety sign products in the Philippine market. Feel free to browse through our online shop. 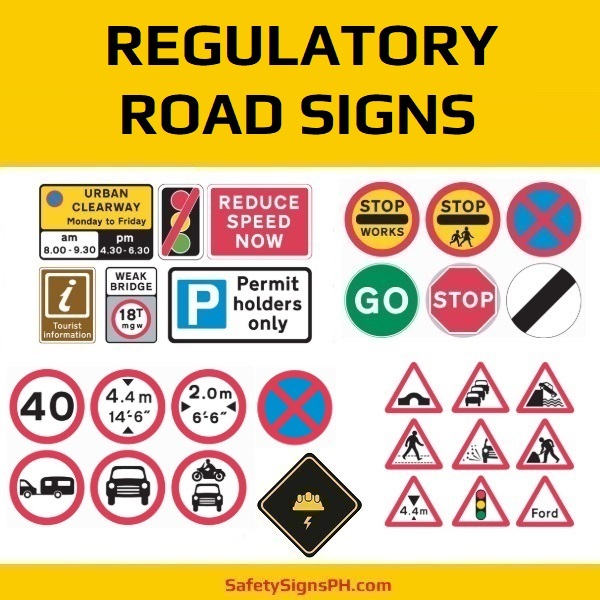 If you have any questions regarding our custom regulatory road signs or can't find what you're looking for, just drop us a message, and we will do our best to make it happen. We can't wait to hear from you! No comments yet. Add your comments now! Keep your employees, visitors, and guests safe at all times with our customized safety signs! 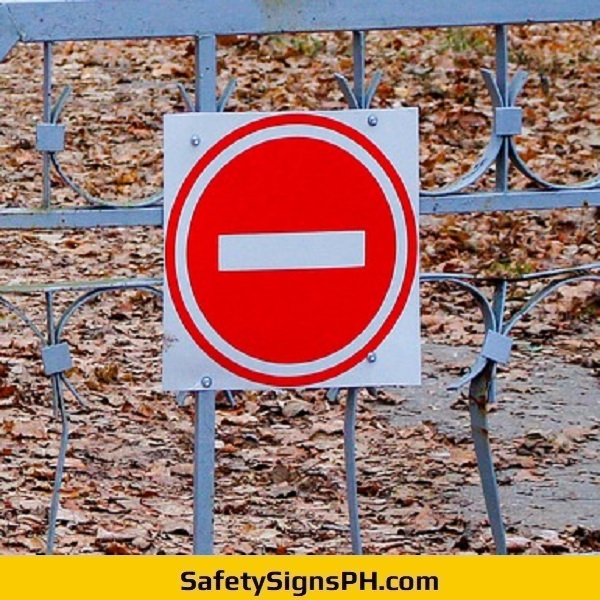 Here at SafetySignsPH.com, we offer a huge range of safety signages such as emergency fire exits, prohibition signs, fire extinguisher, construction, personal protective equipment (PPE), directional, warning and danger signs, and much more. They come in a variety of sizes and are suitable for both indoor and outdoor use. We acknowledge that safety signs play a vital role in preventing accidents in the workplace, that why we fabricate them to the highest quality standards that will work best in any facility. All of our signages are manufactured to meet the demanding needs of commercial, manufacturing, construction, and industrial companies, and are made with the premium acrylic, aluminum sheet or composite, galvanized sheet metal, or sintraboard materials to ensure their durability and longevity. Our selection of emergency and safety signs is professionally designed to meet safety regulations in the Philippines. Each of our custom signage displays a different set of icons and instructions, so we are sure we will have something to match your needs. These signs are particularly important in communicating key safety and policy details to workers and visitors in various areas and conditions. Whether you need adhesive-backed vinyl, reflective, high intensity prismatic, luminous or photoluminescent safety signs on acrylic panel, sintra board, GI sheet, or aluminum sheet metal backing, we can supply them to you! Take a look at our online shop to choose from our range of customized safety signs. As an expert safety signs supplier, maker, and dealer, we cater to diverse clients anywhere in the Philippines - Metro Manila, Luzon, Visayas, and Mindanao, specifically from major locations in the metropolis such as Ayala, Makati, Ortigas, Pasig, Mandaluyong, Bonifacio Global City, Taguig, Alabang, Muntinlupa, Sucat, Bicutan, Paranaque, Greenhills, San Juan, Pasay, Caloocan, Malabon, Marikina, Pateros, Eastwood, and Quezon City. Due to our strategic shop location, we can also accommodate customers in the Calabarzon region, particularly those in the provinces of Cavite, Laguna, Batangas, and Rizal. Our customized safety signages are suitable for offices, restaurants, call centers, hospitals, hotels, condominiums, shopping malls, schools, manufacturing plants, factories, demolition, building and construction sites, mining companies, engineering firms, real estate developers, parks, bars, private businesses, and many others. If you don’t see what you’re looking for, don't hesitate to get in touch with us. We’ll assist you in customizing the exact safety signs that you require. View Our Portfolio Scroll through the gallery by clicking on the image thumbnails. Get The Latest Deals & Promos! Order Form - Get A Free Quote! We accept payments through bank deposit to our accounts in BDO and East West Bank. Once the deposit has been made, please email us the scanned copy of the deposit slip or screenshot of online transfer to safetysignsph(@)gmail.com for proof of payment. Note that we can only proceed to production once the deposit has been confirmed and verified. Please visit our How To Order page for further details. Your order will be shipped via courier. Shipping fee will depend on dimension, weight, and location. Tracking number will be sent accordingly, so you can monitor the status of the package. For bulk orders and big projects, we will deliver them using our own fleet. Custom safety signages are usually finished within 7 working days (max). Bulk orders and complicated projects may take longer. Inform us about your deadline and we’ll let you know if we'll be able to accomplish it. When we send our formal quotation, we'll specify the production leadtime there. We prefer to receive files in PSD format, as this speeds up the production process. However, we can also accept JPG, PNG, or PDF files. Please make sure it's high resolution. Your image file should be set to 300 dpi, at the very least. Photos and graphics pulled from the internet are often low resolution, typically 72 dpi or 96 dpi. Avoid these graphics, as they will appear pixelated and blurry when printed. The common applications of our safety signs are as follows: building, construction, manufacturing, demolition, civil engineering, maintenance, forestry, mining, metals and steel, transportation, aviation, maritime, oil and gas, nuclear, chemicals, pharmaceuticals, telecommunications, utilities, welding, agriculture, municipal services, kitchen, catering, food processing, hospitals, schools, universities, restaurants, hotels, condominiums, call centers, BPOs, real estates, casinos, bars, shopping malls, and many other establishments in the Philippines. Essentially, our custom safety signages can assist in the communication of vital notices, reinforce safety messages, and provide important instruction for emergency situations. 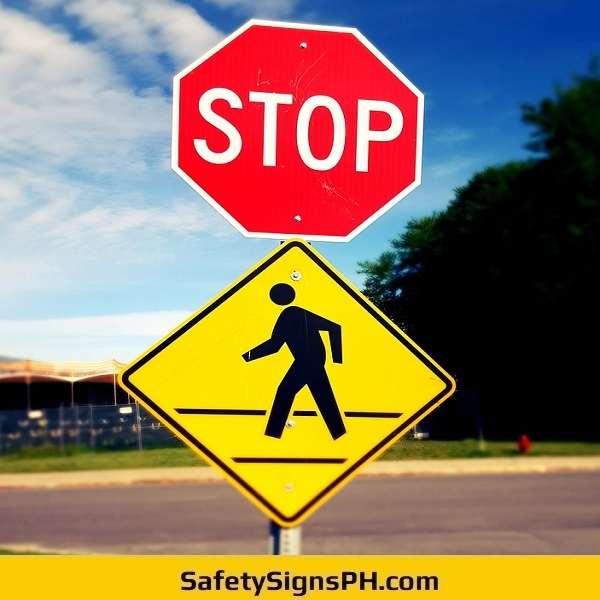 We deliver our safety signages anywhere in the Philippines - Metro Manila, Luzon, Visayas, and Mindanao.